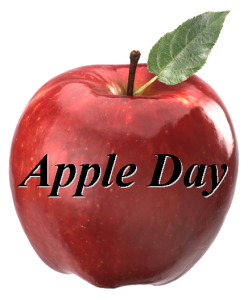 Apple Day is an annual event that provides our Scouting youth with an opportunity to show their appreciation to the general public for their support throughout the year. In return for public support, our youth distribute APPLES as a way of saying “Thank You” to the community. Donations are accepted in return for apples. Scouts Canada provides full liability insurance coverage for our participating members. most importantly, the teaching of lifelong skills enhanced by leadership opportunities, problem-solving and social training while respecting our neighbors and the environment through a great outdoors experience. Full participation from all of our youth and their parents is essential to the success of this event. It is our hope that each youth can cover a minimum of two shifts. You will find the shifts listed on the Sign Up form at the link below. If you can cover more than two shifts, it would be greatly appreciated. Please complete the Sign Up form whether you are able to help or not.